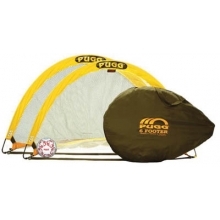 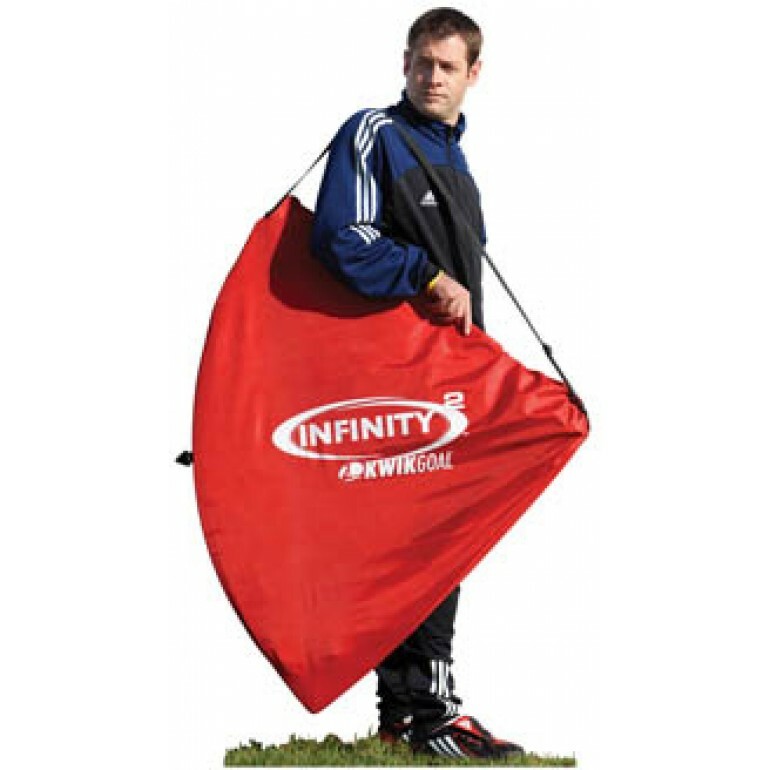 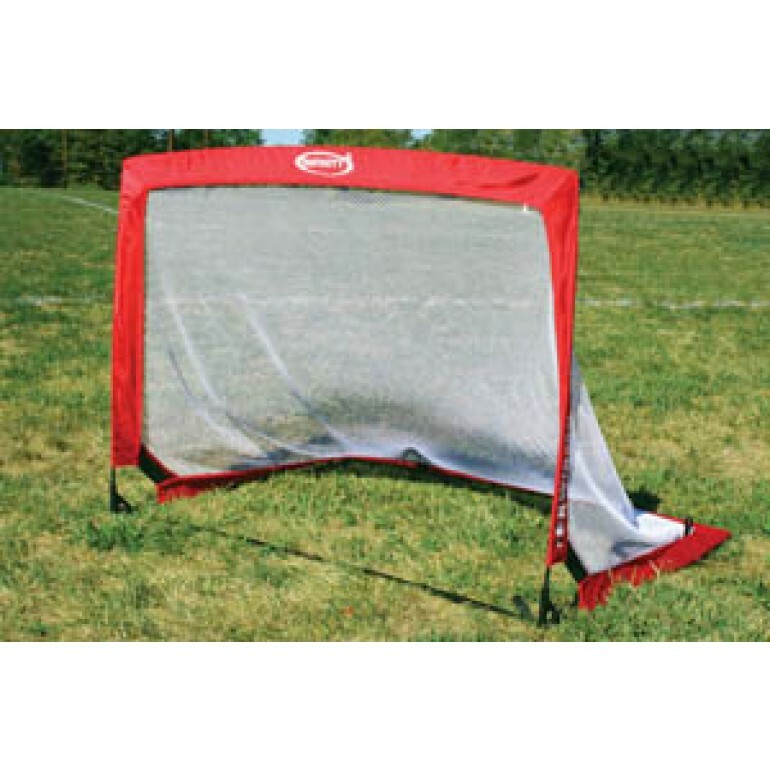 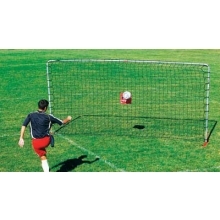 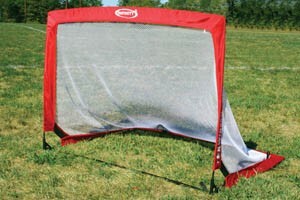 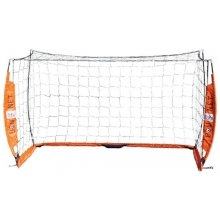 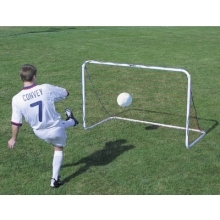 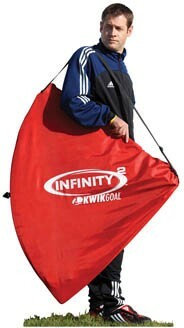 The Kwik Goal Infinity 2 pop-up goal quickly pops up for practice and folds easily for transport and storage. 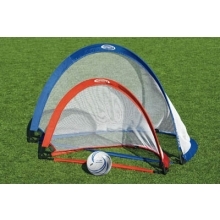 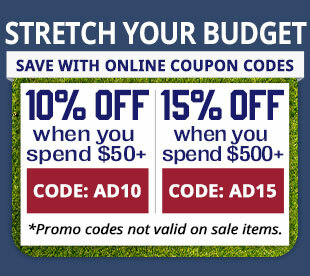 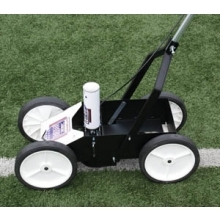 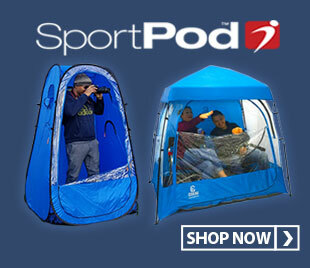 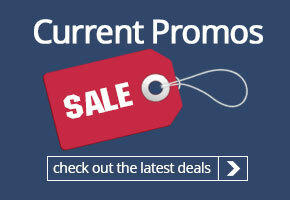 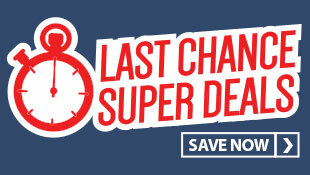 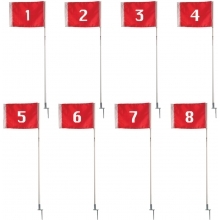 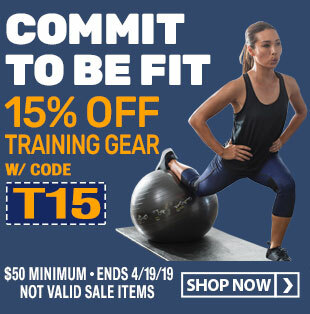 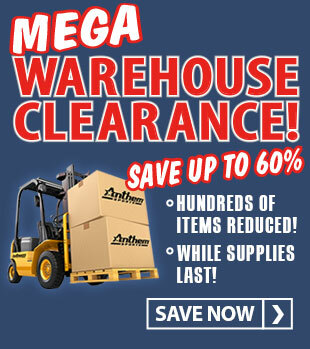 Great for pick-up games and scrimmages at home or set up for a variety of drills on the practice field. 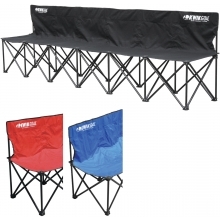 Lightweight and easy to carry, the poly/steel frame with gusseted nylon corners folds and stores in its own carry bag. 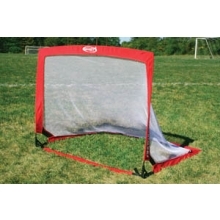 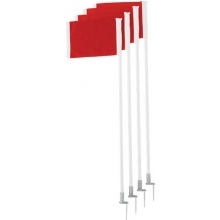 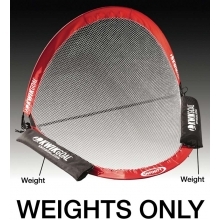 Includes a polyester carry bag, 3 nylon anchor pegs per goal and a polyester net that is 15mm mesh. 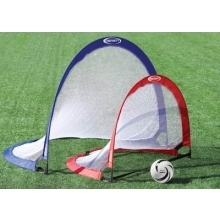 The Infinity Squared Pop-up Soccer Goal is the official squared pop-up goal of U.S. 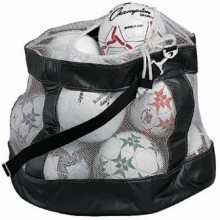 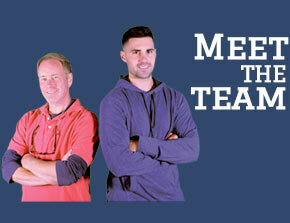 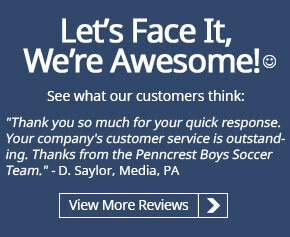 Youth Soccer.